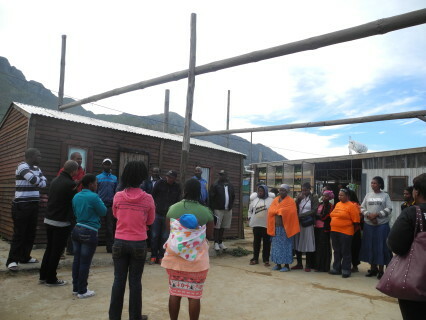 A four-day community exchange was underway from 29 April to 2 May 2014, during which community leaders from Durban visited informal settlements in and around Cape Town. This blog continues to trace the experiences and reflections collected on the exchange, the first two days of which have been recorded here. 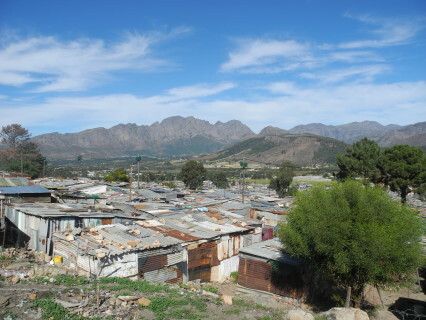 Located in the affluent wine-farming area of Franschoek, Langrug informal settlement, home to about 4500 people, is characterised by extreme poverty, poor housing and sanitation. In the face of these challenges the community signed a precedent-setting Memorandum of Understanding (MoU) with the locally presiding Stellenbosch Municipality that channelled government funds to community-based upgrading initiatives. This translated into relocating 16 families, the construction of a second access road, the construction of grey-water and drainage channels and a community designed, multi-purpose Water, Sanitation and Hygiene (WaSH) Facility. 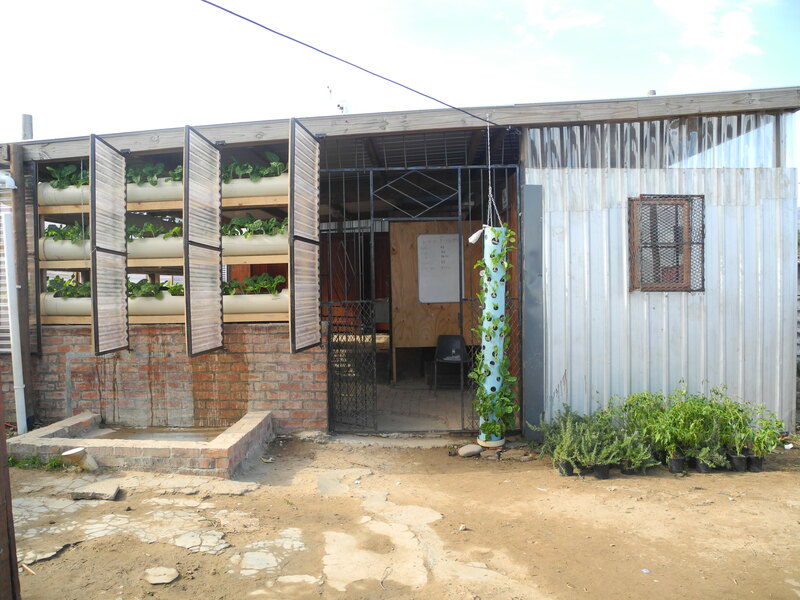 The facility includes a communal homework area for children, a hair salon, benches and laundry basins. 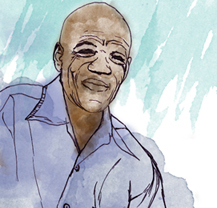 Click here for a comprehensive profile of Langrug. Currently, Langrug is involved in the second phase of upgrading: ‘greening’ the existing WaSH facility with vertical vegetable gardens and developing a dry sanitation facility in Zwelitsha, an ‘informal’ section of Langrug without taps and toilets. The exchange visitors were introduced to all these aspects on a detailed walk-about. 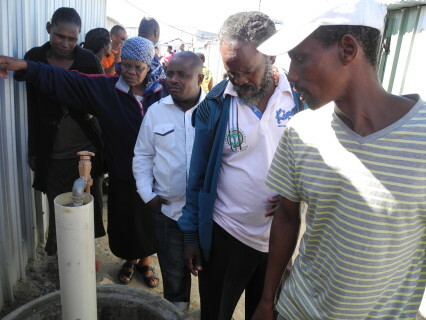 Langrug community member, Alfred Ratana, indicated the differences in depth and purpose of the drainage and grey water channels and explained the processes accompanying relocation. He emphasised the uniqueness of Langrug in that it was a municipality-driven project which was not community financed. Langrug community members also explained the breakthrough presented by Zwelitsha’s dry sanitation facility: due to its location on a steep mountain slope it has been impossible to provide water and sanitation services to around 600 families. 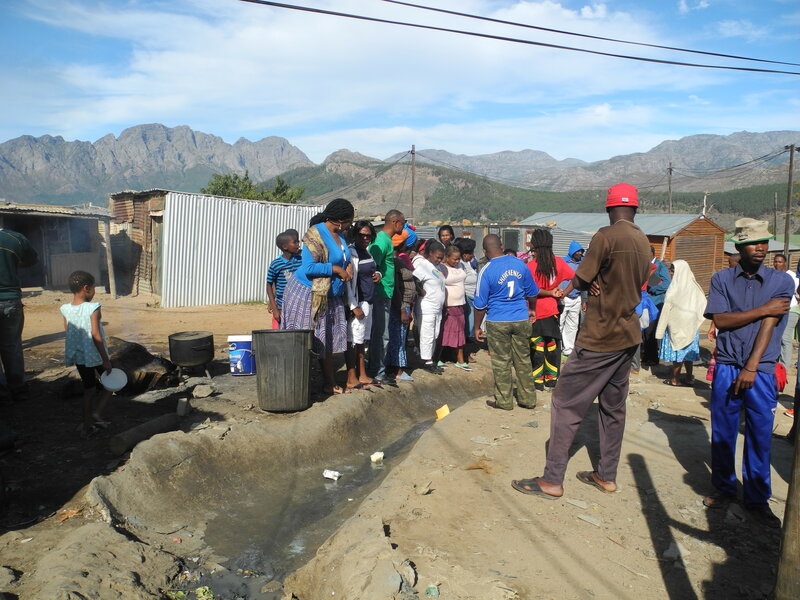 The dry sanitation facility, however, is a step towards changing this. 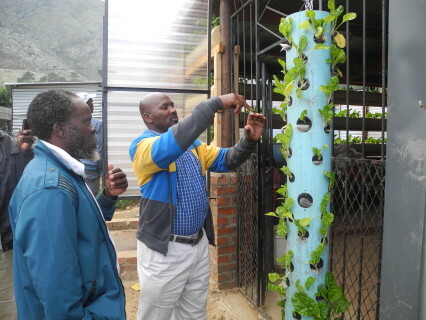 The vertical vegetable gardens in Langrug’s existing WaSH facility (developed in partnership with Touching the Earth Lightly) showed the visitors how the community secures food and generates income. By selling the spinach it grows, the community intends to generate income to sustain daily running costs of the facility. 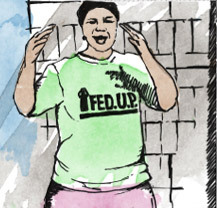 “getting something started is not about presenting an idea to social services. You just need to start. Once the idea is happening, you can take the outcome to social services and get it registered”. Once back at the WaSH facility Langrug’s steering committee shared details around the developments in their settlement. The group was also joined by Diana Mitlin and visiting colleagues from Manchester University. Read about their impressions here. The final visit to Mtshini Wam showed the visitors what a large-scale re-blocking project could look like. 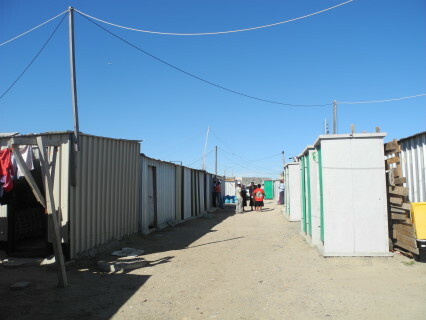 During upgrading, the settlement also received one on one services, some in-structure toilets and public water points. 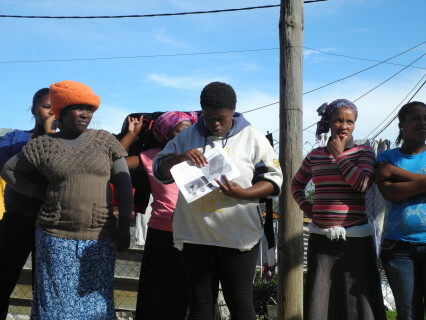 More details on Mtshini Wam’s re-blocking are documented here. 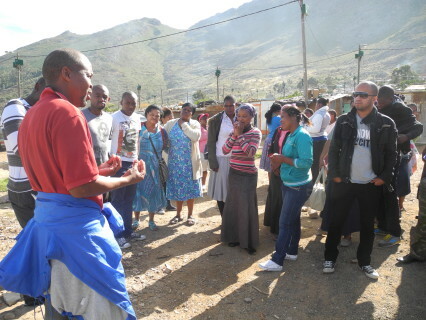 Visiting Langrug presented a highlight for the visitors from Durban as the topography and accompanying challenges (steep inclines, drainage and flooding) are similar to the conditions in their own settlements. Durban’s Kenville and Foreman Road settlements will share their experiences of the exchange in mass meetings with their communities this weekend (16-18 May). Their next steps are to enumerate their settlements and establish a relationship with their councillors. Exchanges certainly are the most important learning vehicle in the South African Alliance. They facilitate the direct exchange of information, experience and skills, thereby building a horizontal platform for learning between urban poor communities. Through sharing successes and failures in projects, giving and receiving advice on engaging government, sharing in work and life experiences and exchanging tactics and plans communities become central actors.